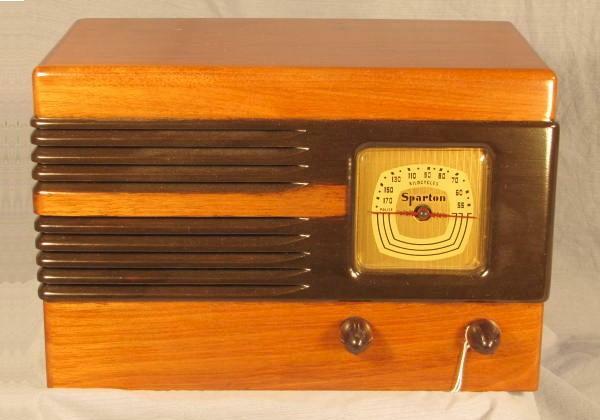 This gorgeous little radio tunes and plays perfectly and has been cosmetically restored to match. Great sound in a beautiful case. Made by Sparton of Canada. (JC499) About 11"W x 7"H x 6"D.
You are visitor number 2,398 to this page.